What are 3 pretest probability scoring systems used to evaluate patients with a suspected pulmonary thromboembolism? 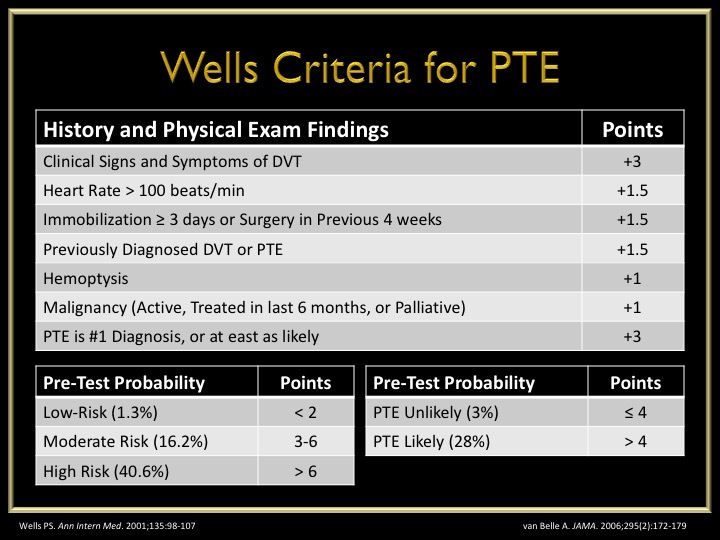 There are 3 validated pretest probability scoring systems that can be used to help clinicians decide who can be sent home, who needs a D-dimer, and who goes straight to CT for suspected PTE. 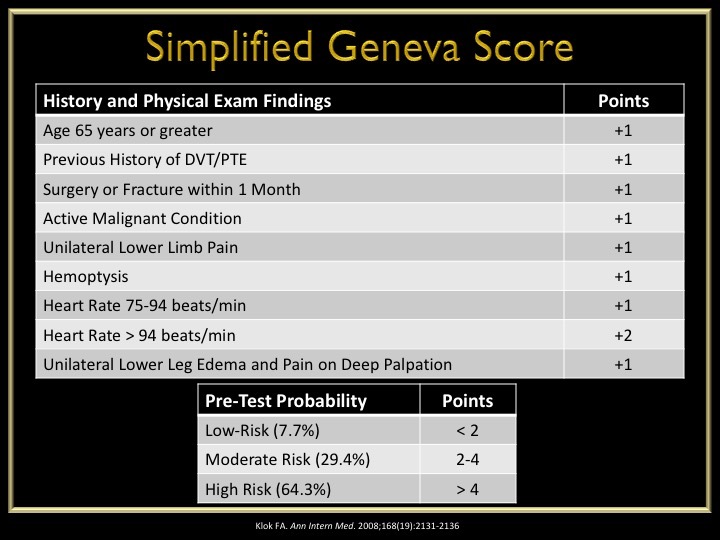 This score is used AFTER the patient is determined to be low-risk using the Well’s or Geneva score. In patients who are low-risk and PERC negative, there is only a 1.6% false-negative rate for missed PTE. 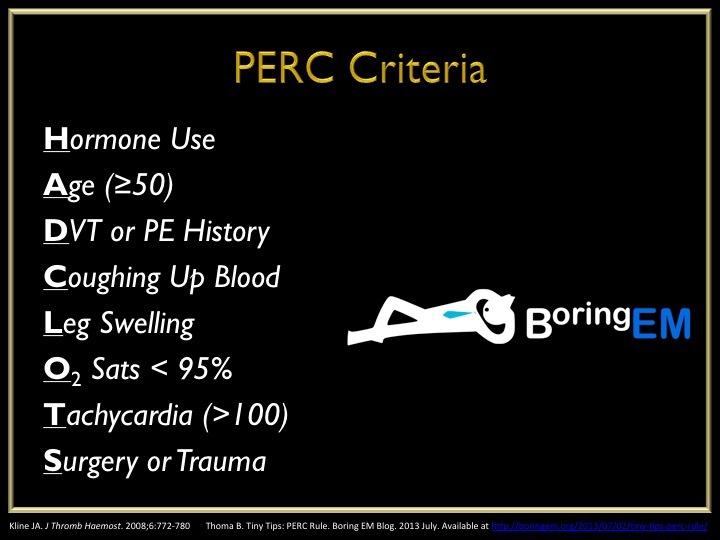 Any one of these would deem the patient PERC positive. 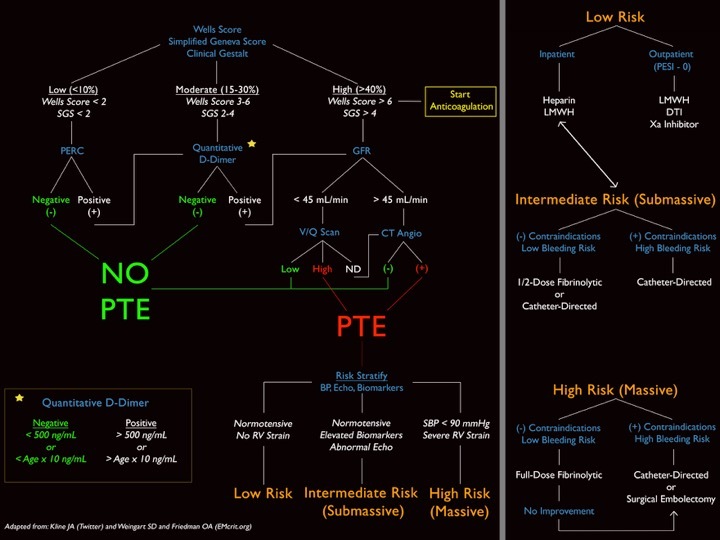 Although it does help us in deciding who maybe at higher risk of PTE, I personally feel these scoring systems help us document who DOES NOT need work-up. There are quite a few patients who come in with non-specific chest pain or shortness of breath, and you should ALWAYS entertain the idea of PTE in these patients. But, not every single one of these patients need a d-dimer or CTA. Better yet, some of these patients can be discharged home without any investigation if they are low-risk and PERC negative. Below is an algorithm I modified from Jeff Kline using these clinical decision instruments.